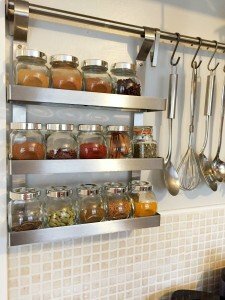 If your kitchen cupboards are messy with herb and spice jars crammed into every space then you’ve come to the right place. 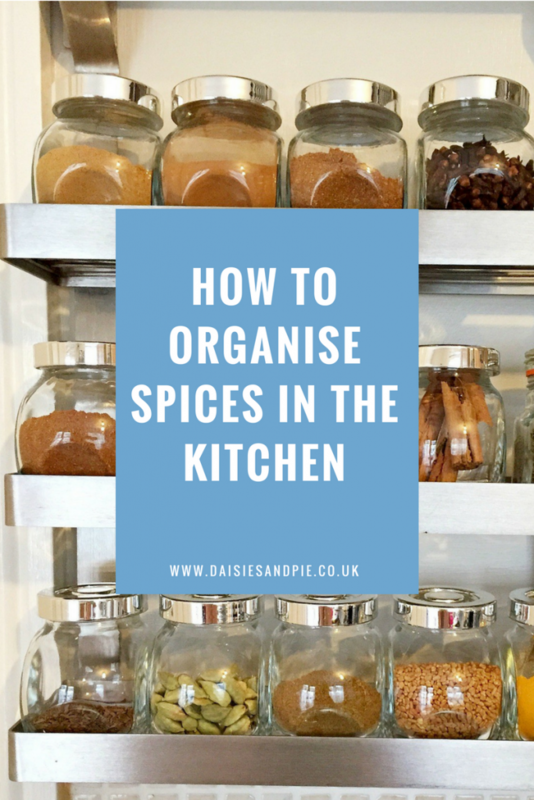 Here is the best and easiest way to organise your spices so that you can see exactly what you’ve got. You can reach them easily and they look neat and tidy. 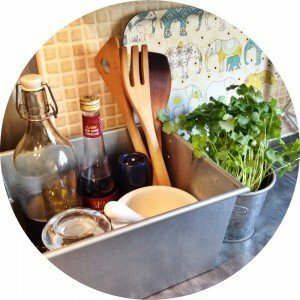 Hate muddled cupboards? You know the ones, where you have to move everything and empty things out just to find what you want to use. It’s a pain right? Wastes time and effort. Organising your spices frees up room in the cupboards, they look pretty, it’s much easier to find what you’re looking for, it’s easy to see when you’re running low on things so you can add it to your shopping list. 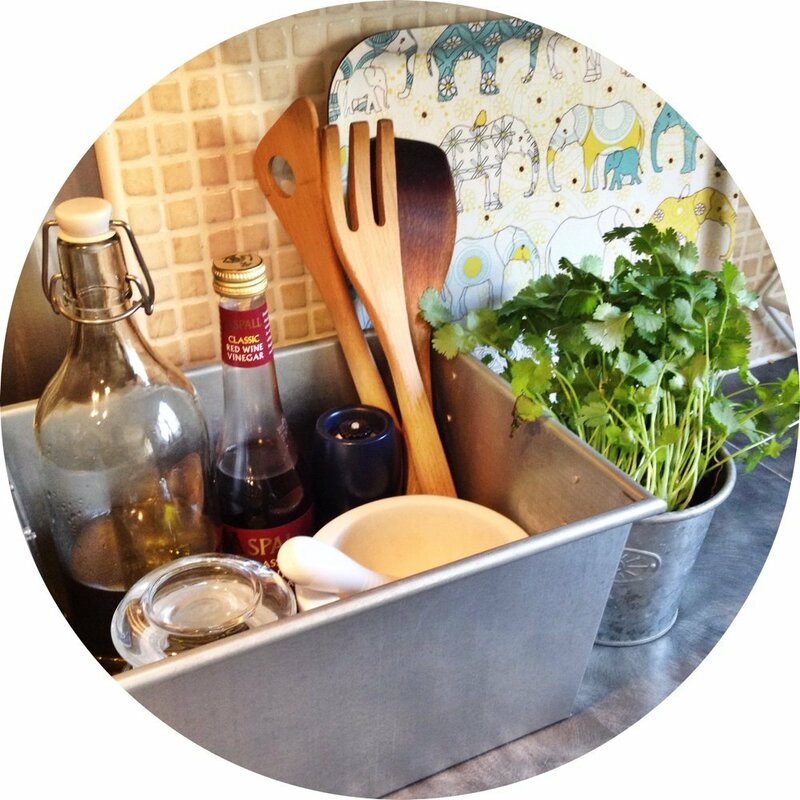 And if you’re a neat freak… then it’s a whole world better than a messy cupboard! 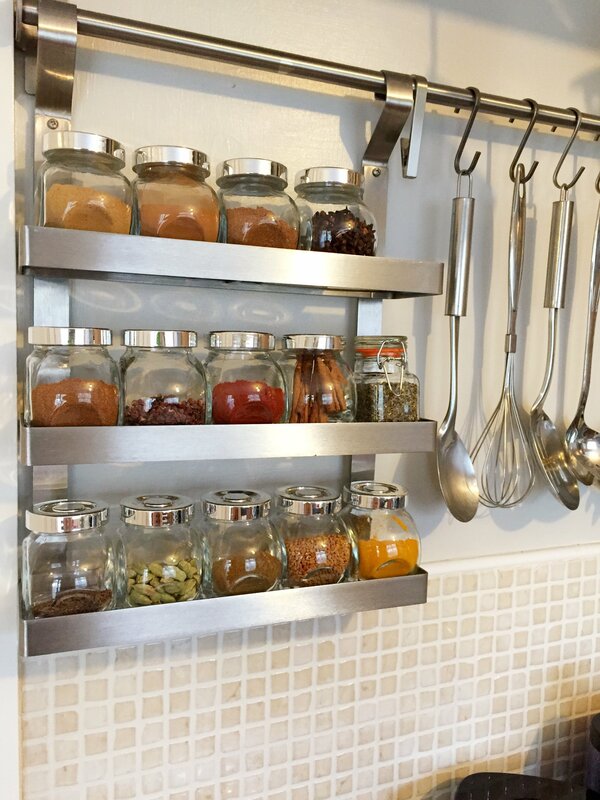 A space for your spice storage – either clear out some cupboard space or get some rack shelving. We like the IKEA GRUNDTAL series as it’s modular and so mixing and matching bit’s and pieces is easy and it’s low cost. 1. 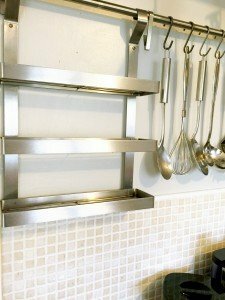 Create your space or hang your shelving. 2. Decant all of your spices into the spice jars. Check the following. use by date – if it’s past the date then discard it. 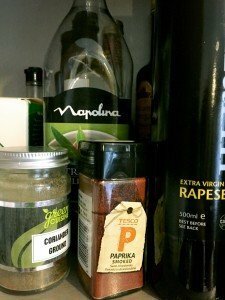 give the spice a sniff – if you can’t smell a clear defined smell or don’t recognise it – discard it, spices that don’t smell don’t tend to taste of much when you use them either. if you’re a bit forgetful it’s worth popping a label in with the spice to remind you what’s in the jar. 3. 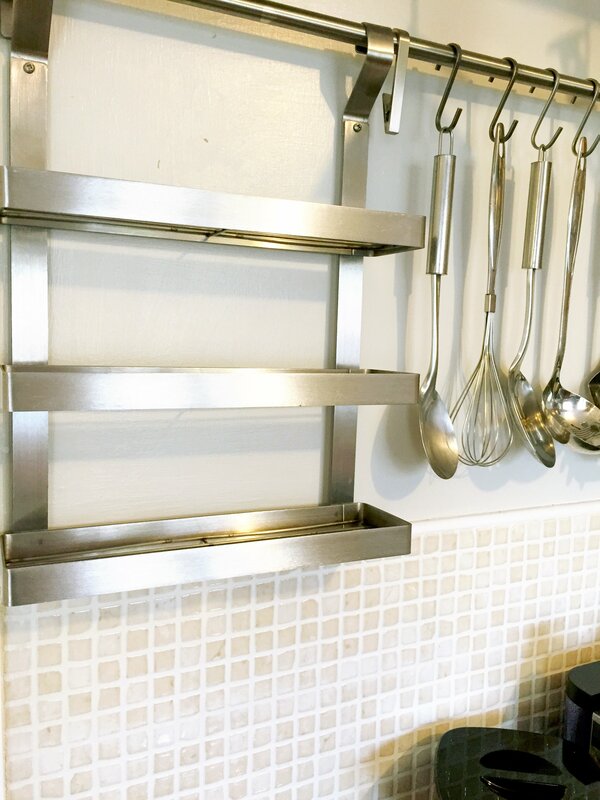 Stack or arrange your spices nicely in their new home. It’s a good idea to keep your baking spices together and your cooking spices grouped together. 4. Stand back and admire your totally organised spices. Here’s the list of spices I like to keep in stock at home – the only dried herb I keep in stock is oregano as I grow herbs fresh. 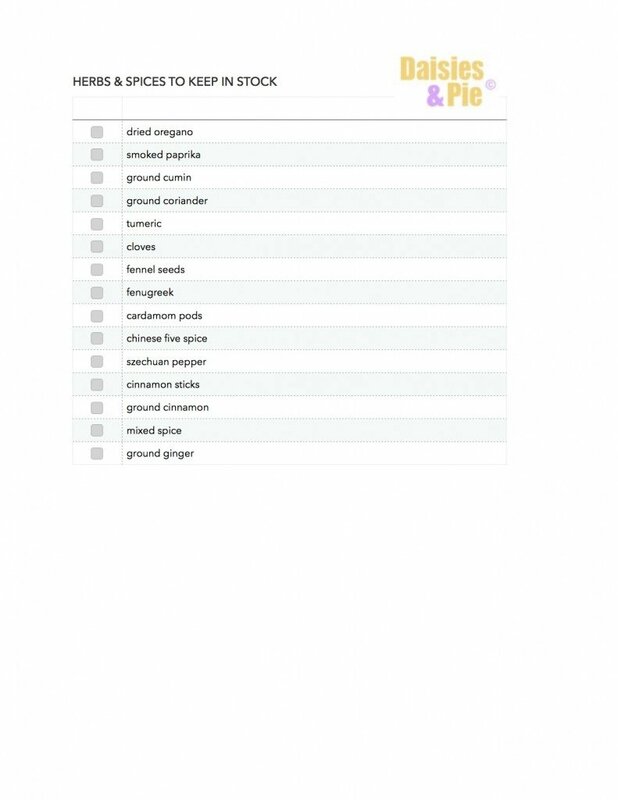 You can get the printable herbs & spice checklist here.